Ten years. TEN years! It’s amazing to look back at the history of the Guild Wars® franchise and realize that we’re approaching the 10th anniversary of the original game. With all that excitement, those of us who have been around a long while—players and developers alike—might be excused for waxing nostalgic and taking a walk down memory lane, right? As you probably know, ArenaNet got its start in 2000 when three game developers pulled up stakes and moved to the Pacific Northwest. Their vision: start a game development studio that challenged the accepted norms—the “givens” of game development—and set out to make a new kind of online world. I first met the team in the fall of 2000, when I was invited to visit ArenaNet in their makeshift office in the living room of Mike O’Brien’s apartment to discuss the company’s first title. I still laugh about how the entire team—Mike, Jeff, Pat, and Brett, all programmers—turned off their monitors when I walked into the room, as though I could read code and wanted to sneak a peek! We had lunch and talked about their plans for the game. I asked a million questions, and they shared their philosophy about fan interaction. A few months later, I was invited to join the company as their community relations manager. I think it says a great deal about the company’s founding philosophy that—years before the release of their game—they were thinking not solely of development but were also thinking about how to communicate with their future players and fans. By the start of 2003, the company had grown to about 20 employees. We had moved from Mike’s apartment to our second office, a two-room space in a Bellevue office park, then to our third, a larger space in the same office park that expanded with us as we added team members. 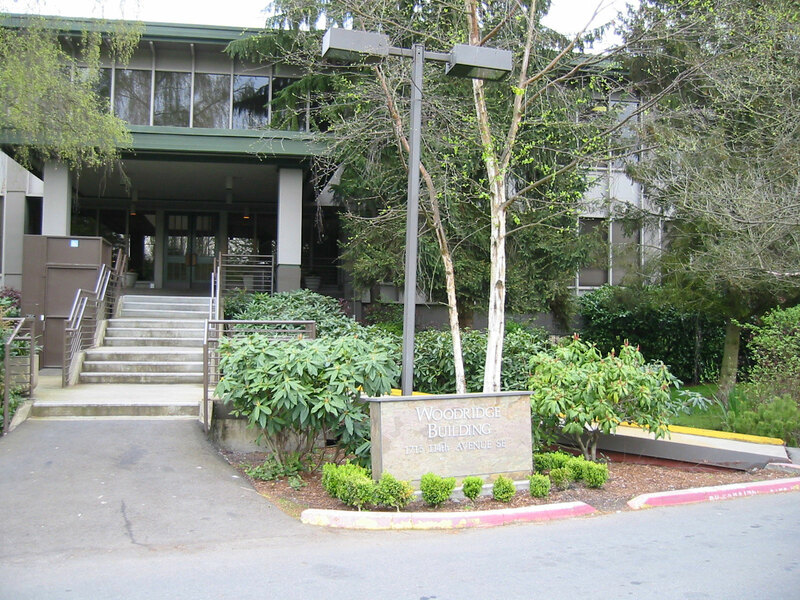 That office park was often subject to flooding during the Seattle rainy season. Built on wetlands, with a creek just outside our doors, we never knew when we’d walk outside to find the parking lot submerged, with ducks and ducklings casually paddling next to our cars. We doubled in size by the end of 2003, and among the new hires that year was one person who changed the course of ArenaNet and steered our artistic vision. 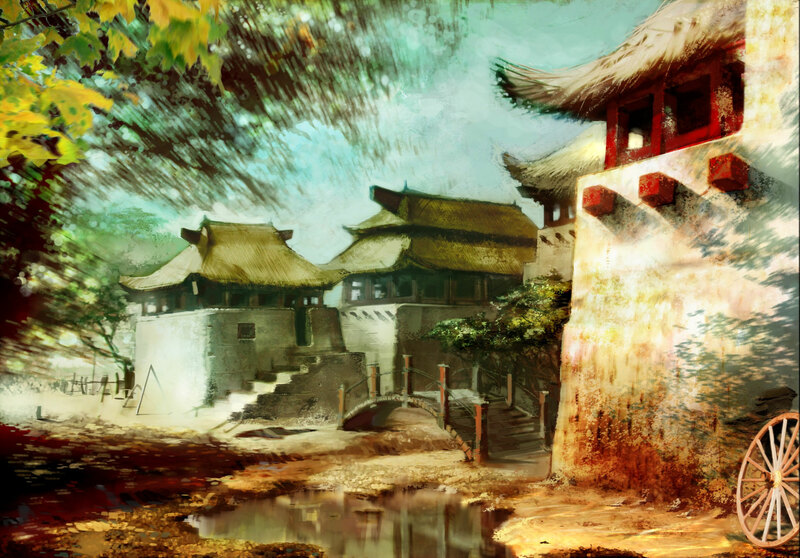 Art Director Daniel Dociu joined the company, and with that, the game took a quantum leap forward through the adoption of a very different and distinctive art style. Daniel coming on board also helped drive further hiring of key designers, programmers, and artists. 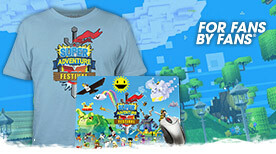 The following year, we decided to raise our visibility in a big way. In May of 2004, ArenaNet hosted the E3 for Everyone event, inviting the whole world to play our trade-show demo live with the players on the show floor. Thousands of gamers were able to get a firsthand look at Guild Wars in its early stages, and it was clearly a fan favorite at E3 that year. 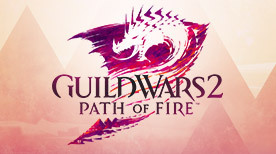 In fact, the scale of player response meant that the Guild Wars demo was one of the five largest online games in North America, and one of the ten largest online games in the world during the time that E3 for Everyone was taking place. And this was a year before the game was released! 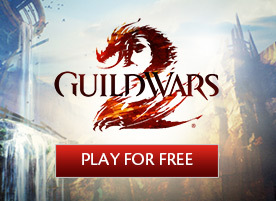 On April 28, 2005, ArenaNet launched Guild Wars. We all gathered around as our cofounders got ready to press the button that would begin the Guild Wars journey for players and ArenaNet developers alike. A couple of weeks after the launch of Guild Wars, the team headed to E3 with a tantalizing trailer about a major upcoming content release. 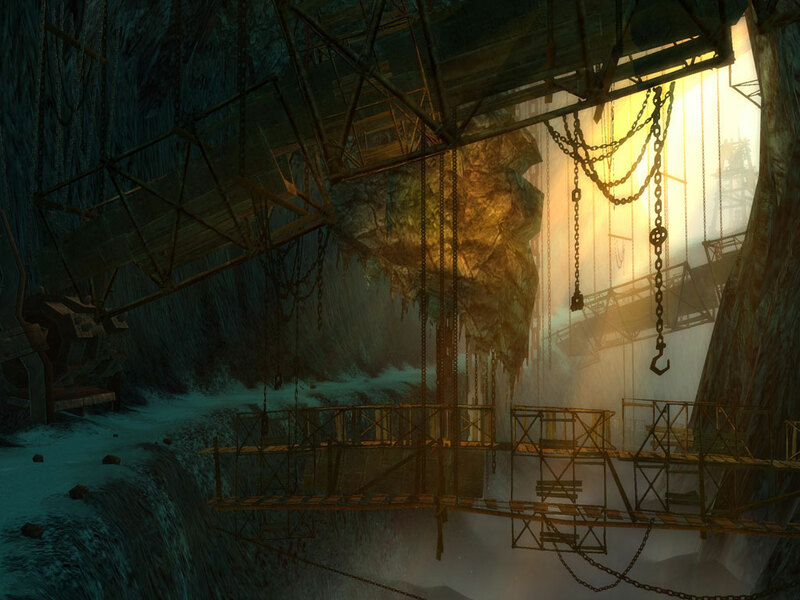 The Sorrow’s Furnace update, with new maps, adversaries, and story content, was presented to our players free of charge in September 2005, surprising and delighting our fans. The year 2006 was a big one for ArenaNet on the competitive scene. In February of that year, after three competitive seasons to identify the top Guild Wars competitors, members of five guilds and an exhibition guild from Hong Kong traveled to Taipei, Taiwan, to host the Guild Wars World Championship. The event helped put Guild Wars on the map as a competitive Player vs. Player game, a tradition that now continues with Guild Wars 2‘s World Tournament Series. In August of 2006, ArenaNet hit the stage at Games Convention in Leipzig, Germany, for the Guild Wars Factions Championship. Five guilds from around the world, plus the winner of an E3 invitational round, took the stage to compete. The audience filled the entire dedicated space in our Games Convention booth and spilled into two other huge areas of the convention center, too. 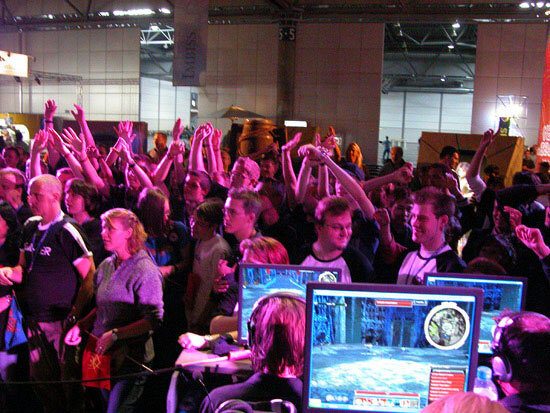 Games Convention was proof for us that the European community had embraced Guild Wars in a big, big way! In 2006 we released Guild Wars Factions, followed six months later by Guild Wars Nightfall. One year later, just before players got their first expansion with Guild Wars: Eye of the North, ArenaNet announced Guild Wars 2. The studio immediately set the stage for what the sequel represented—Guild Wars 2 was to be a reconceptualization of the Guild Wars universe from the ground up. It would resume the story of Tyrian history with a starting point 250 years after the ending of the original Guild Wars. Sometime around 2008, we realized that while raising the bar on gameplay, art, and design, we also wanted to raise the bar on sound, too. That’s when we formed an in-house sound team, and they’ve been creating excellent sound effects and music ever since. While in the midst of developing Guild Wars 2 and growing our team in the process, we realized that we couldn’t stretch our office space any further. 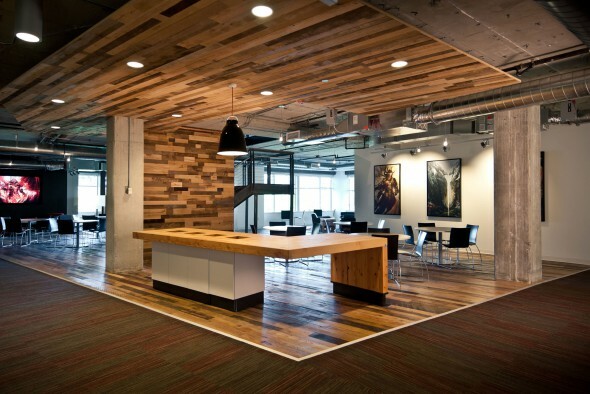 So, in June 2011, we built a spiffy new office in a different part of Bellevue. As part of the new office, we added in-house recording facilities, defined a space for video production, and extended our common areas so that we could hold team meetings and social events. This is the new home for the more than 300 talented people who make up ArenaNet today. Ten years after the introduction of Guild Wars, through Guild Wars 2, and now with the continuing journey we’ll make with Guild Wars 2: Heart of Thorns™, we are looking forward to another 10 years and more of amazing, engaging Guild Wars history!